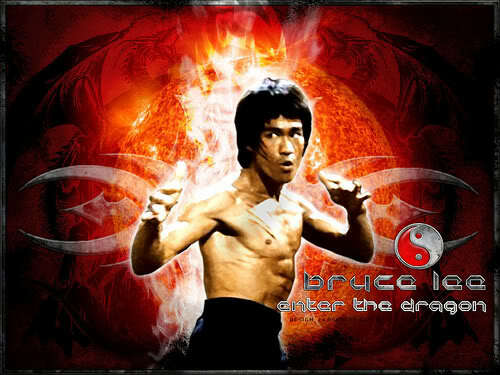 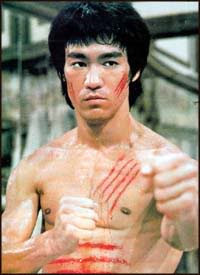 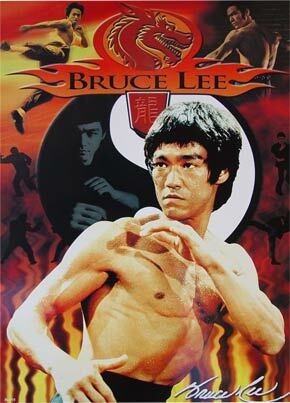 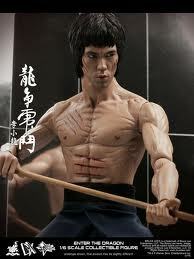 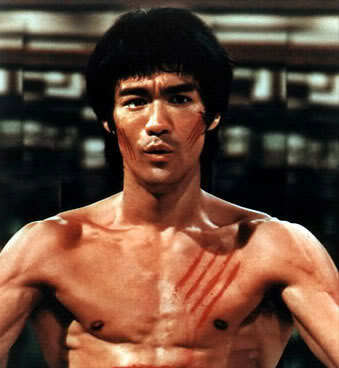 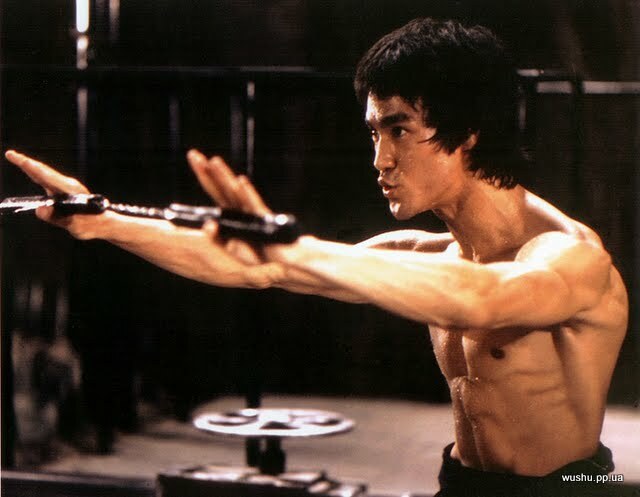 Bruce Lee in "Way of the Dragon" his 3rd movie made in China, where he destroys Chuck Norris in an epic battle at the end . 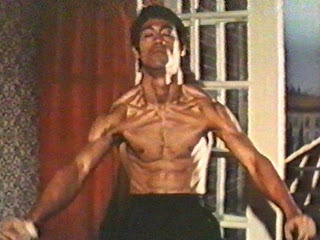 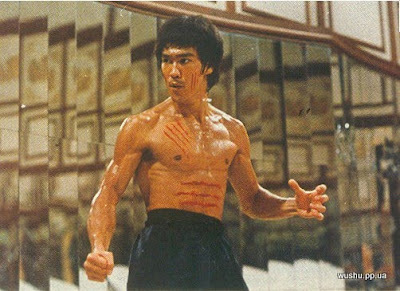 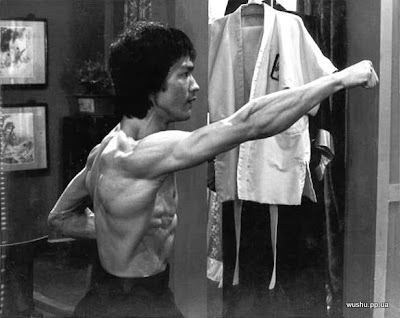 Famous Bruce Lee Scene from Enter The Dragon, during a fight at the end with Han, Bruce Lee demonstrates superior muscular definition, striations and extremely low body fat. 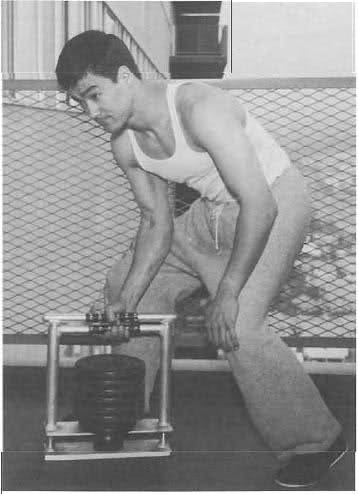 Clean and press, or maybe a military press hard to determine. 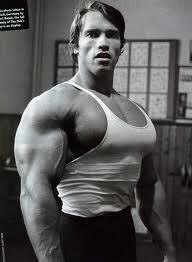 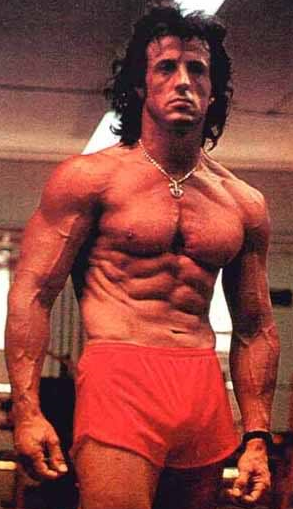 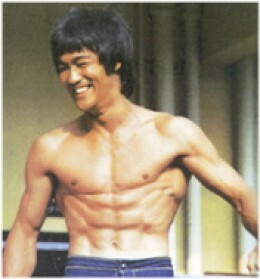 Linda Lee Bruce's wife says that he was always working out , Bruce had weights in almost every room of the house! 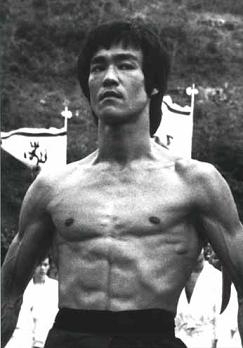 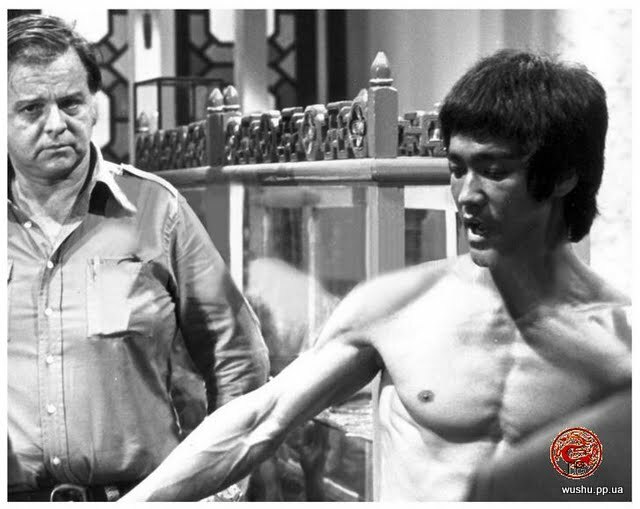 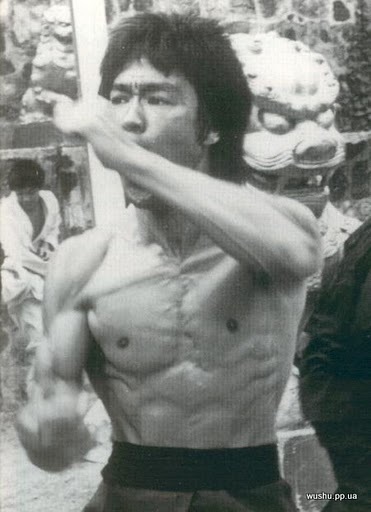 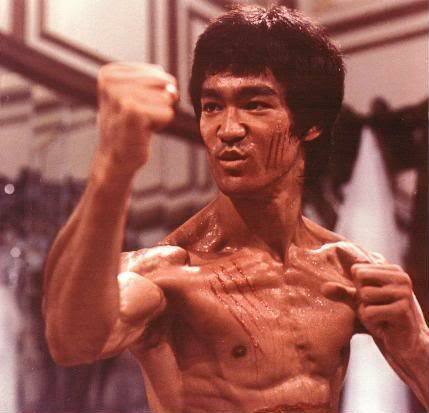 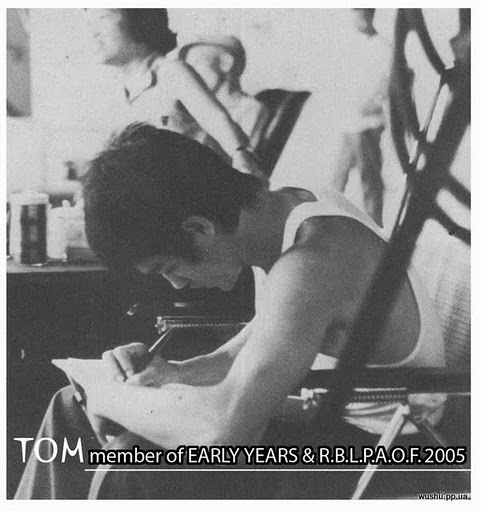 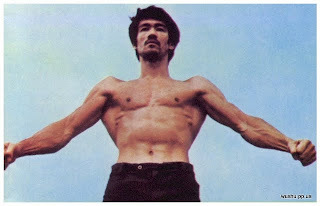 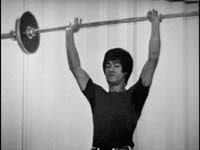 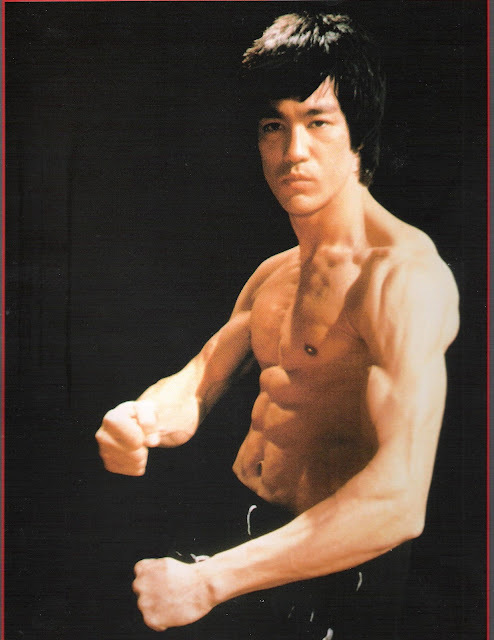 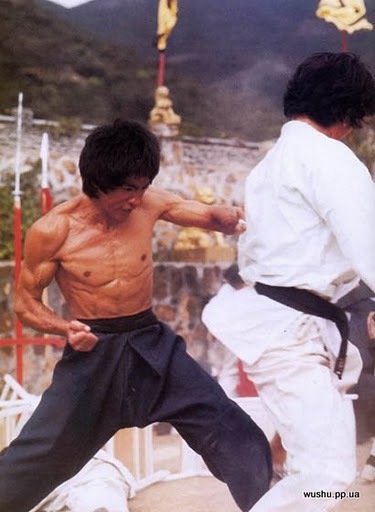 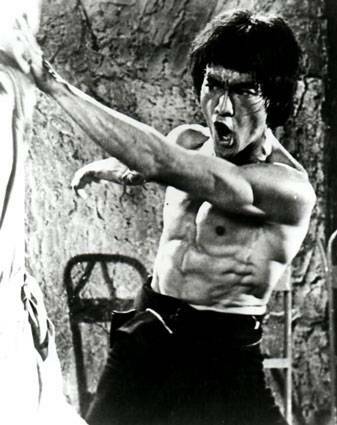 Bruce Lee had insane forearm size and strength due partially to his dedication to martial arts and weight training. 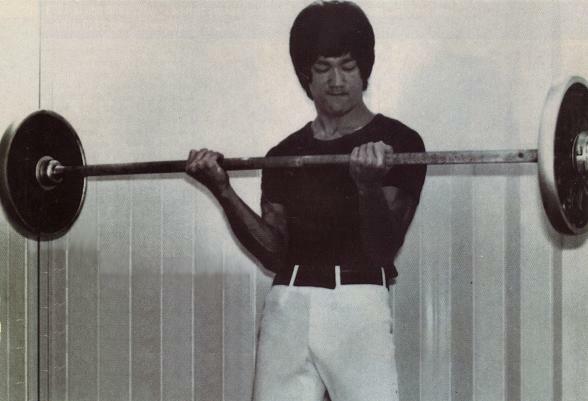 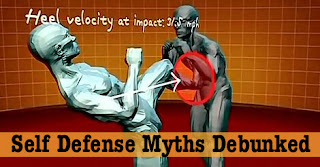 Seen here with a Club device, one ended weight or sledge hammer for forearms. 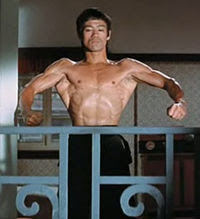 "The Flag" "Dragon Flags" or "Dragon Flyes" for abs, core, a famous Bruce Lee movement. 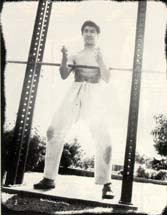 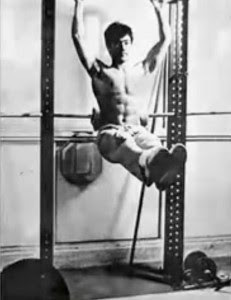 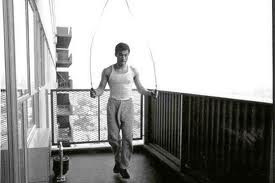 Notice Bruce Lee's grip machine there on the floor next to him jumping rope on the balcony gym! 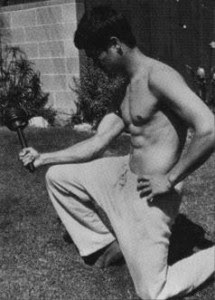 This is Bruce Lee audition pic for the TV series "Kung Fu" which he came up with, but instead the part went to David Carridine. 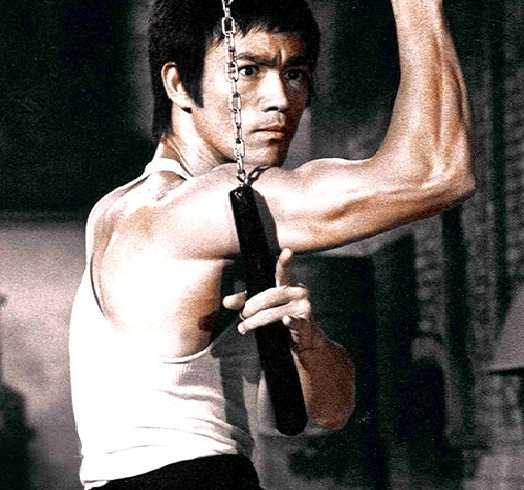 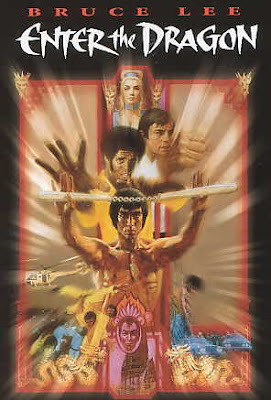 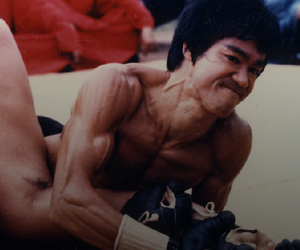 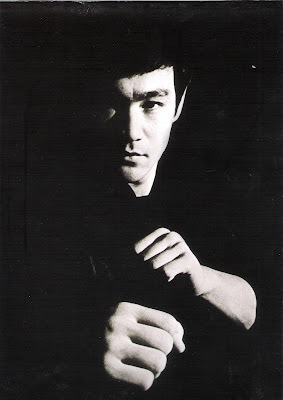 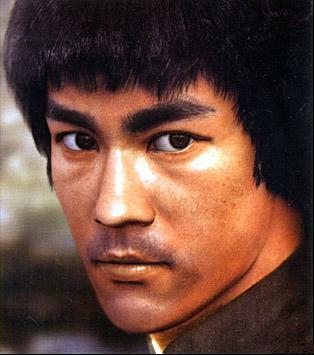 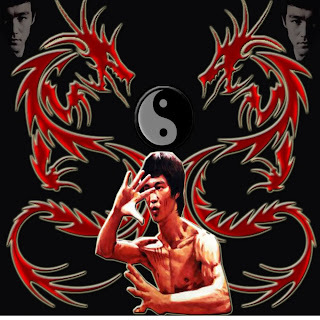 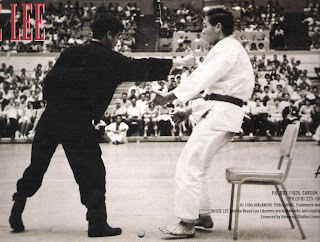 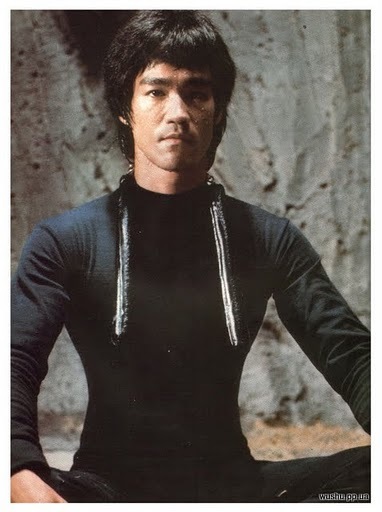 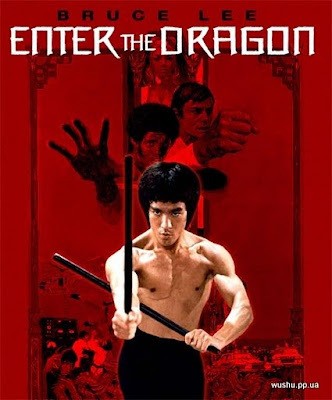 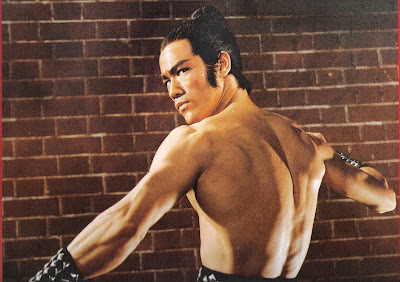 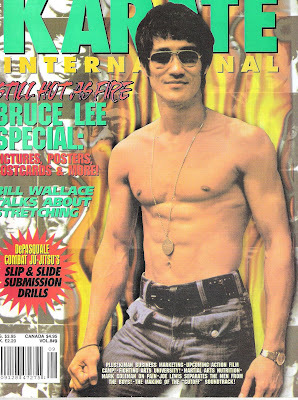 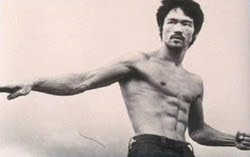 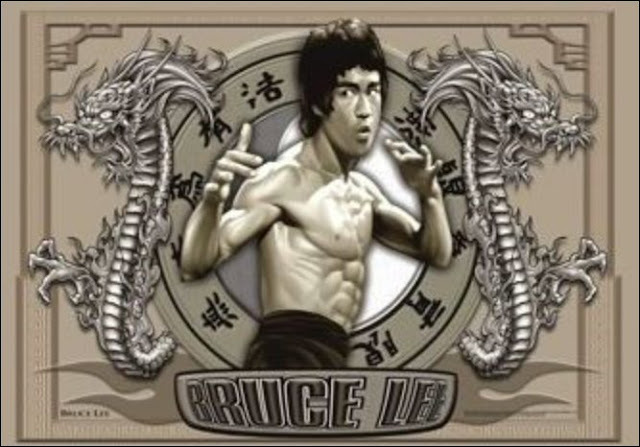 Bruce Lee Later went to China and started filming on his own "Fists of Fury" The Chinese Connection" and "Way of The Dragon"
No one does it better than the Master Martial Artist, Strength Trainer, Fitness advocate Bruce Lee.